I am currently working on a project on ‘infrastructural hope’, which tries to weave together an interest in the affective force of state projects (and as such ties in to my work on ‘feeling for the state’) with debates emerging from post-human anthropology and Science and Technology Studies (STS) concerning the capacity of infrastructural interventions to format the social in new and unpredictable ways. My interest in these questions has been shaped by my participation in discussions as a member of Theme 4 of CRESC, the ESRC Centre for Research on Socio-Cultural Change, around ‘Infrastructures of Social Change’. 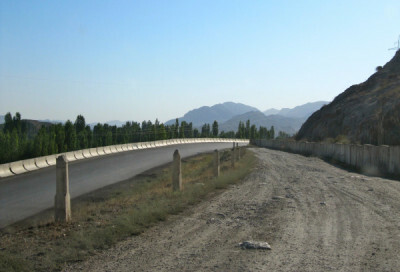 I have published on the contentious politics of borderland road-construction in the Isfara valley in both scholarly and popular outlets, and with Penny Harvey and Evelyn Ruppert have written on ‘transparency devices’ in initiatives of conflict prevention. 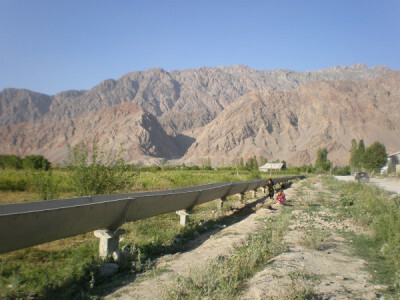 I am working on a paper for Ethnos on ‘Territorial Integrity as Infrastructural Experiment’ and am currently preparing some new fieldwork in the far south-west of Kyrgyzstan looking at the place of road, trade and irrigation infrastructures as sources of contention and conviviality.